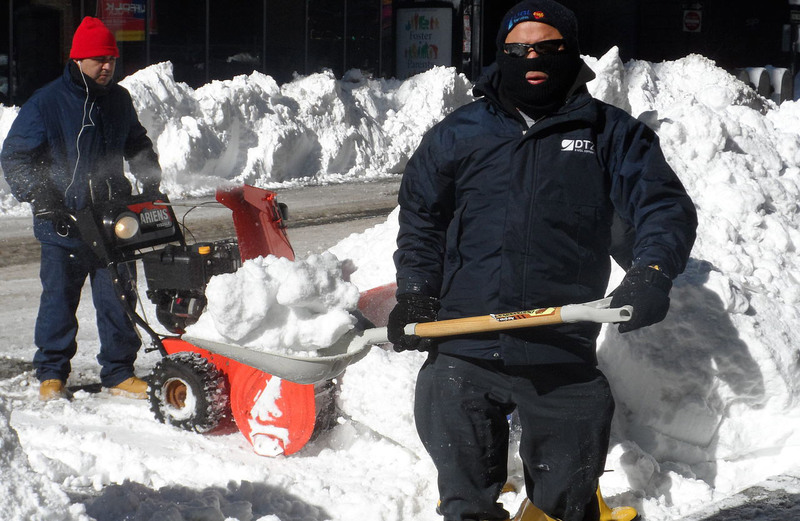 Workers may be required to work outdoors in cold environments and for extended periods, for example, snow cleanup crews, sanitation workers, police officers and emergency response and recovery personnel, like firefighters, and emergency medical technicians. Cold stress can be encountered in these types of work environments. Cold stress – or how the body reacts to cold temperatures – is a very real problem during the winter. 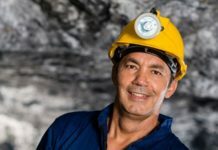 However, many workers may not know the signs and symptoms of cold stress, including conditions such as hypothermia, frostbite or trench foot. 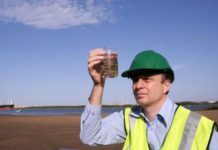 This can be a problem, especially for industries like construction, where many companies are still operating outdoors. In certain instances, workers exposed to severe weather without personal protection equipment can also suffer shock that could lead to death. There are many steps employers can take to protect workers from cold stress. 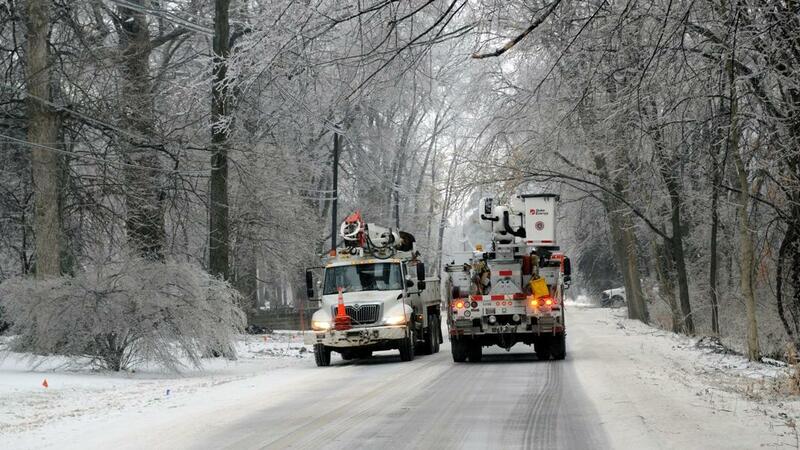 Employers should try to schedule maintenance and repair jobs in cold areas for warmer months. When this is not possible, these jobs should be scheduled for the warmer part of the day. Employers should reduce the physical demands of workers by using relief workers or assigning extra workers for long, demanding jobs. Employers should provide warm break areas and warm liquids. 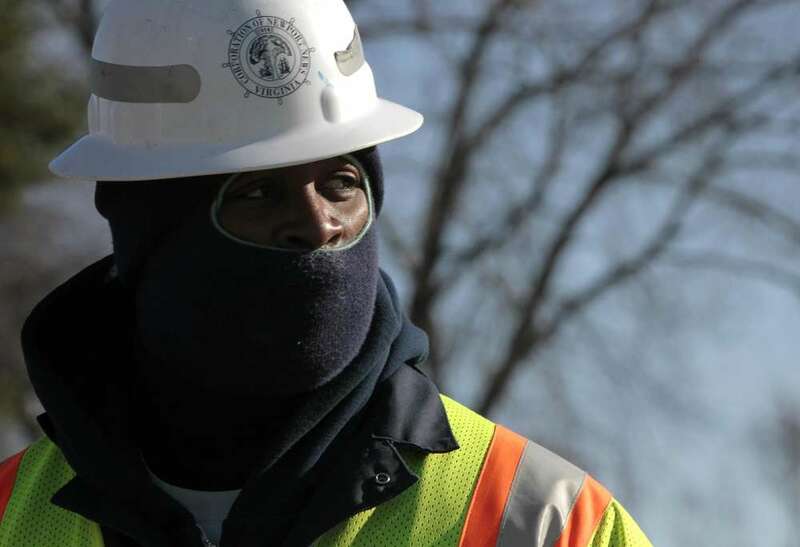 Monitoring workers who are at risk of cold stress and providing training can also help prevent cold stress illness and injuries. When choosing clothing, be aware that some clothing may restrict movement resulting in a hazardous situation. 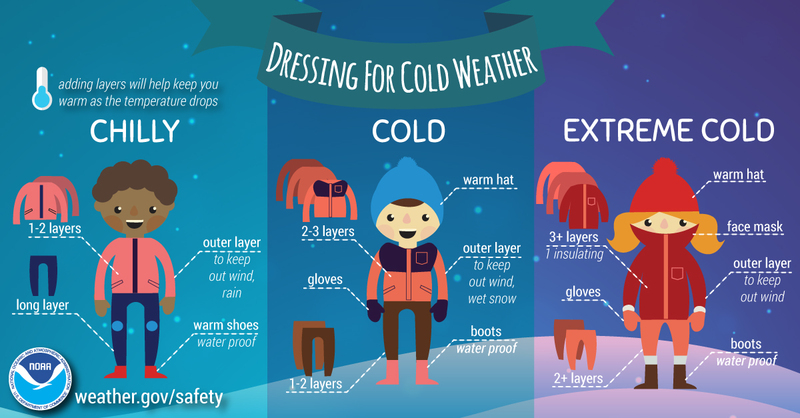 Make sure to protect the ears, face, hands and feet in extremely cold weather. Carry cold weather gear, such as extra socks, gloves, hats, jacket, blankets, a change of clothes and a thermos of hot liquid. What constitutes extreme cold and its effects can vary across different areas of the country. 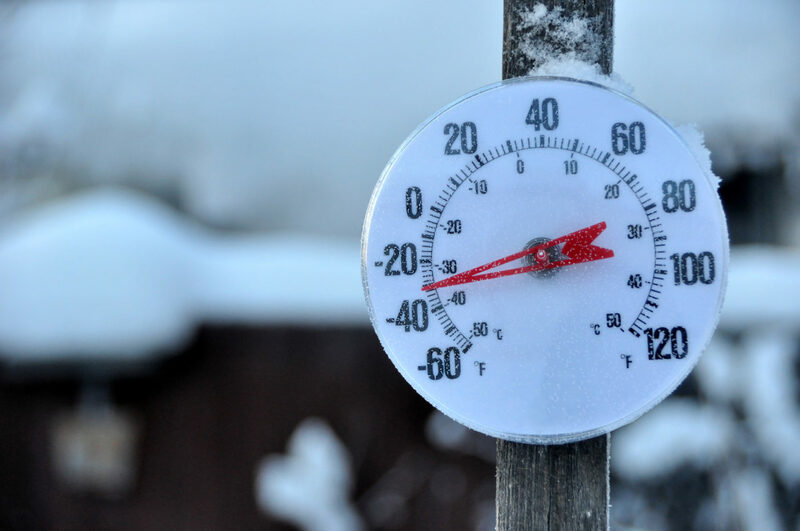 In regions that are not used to winter weather, near freezing temperatures are considered “extreme cold.” A cold environment forces the body to work harder to maintain its temperature. Whenever temperatures drop below normal and wind speed increases, heat can leave your body more rapidly. 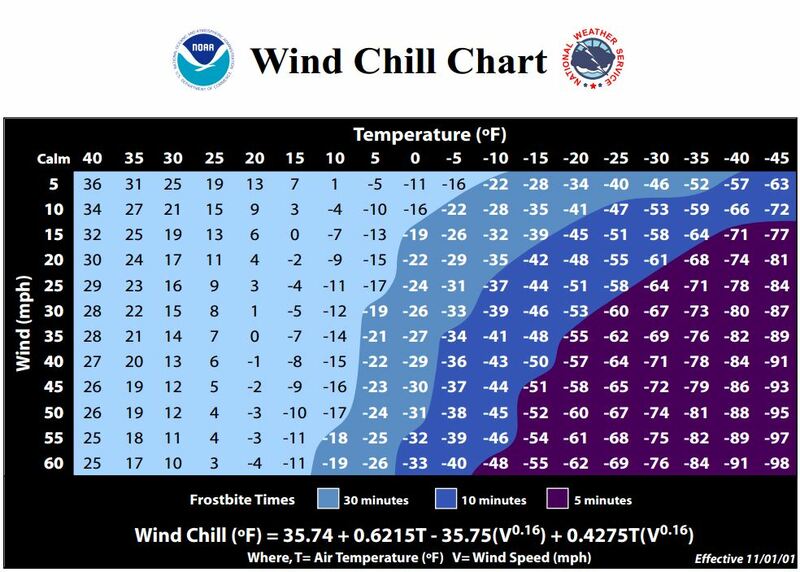 Wind chill is the temperature your body feels when air temperature and wind speed are combined. For example, when the air temperature is 40°F, and the wind speed is 35 mph, the effect on the exposed skin is as if the air temperature was 28°F. Cold stress occurs by driving down the skin temperature and eventually the internal body temperature (core temperature). This may lead to serious health problems, and may cause tissue damage, and possibly death. What are the risk factors that contribute to cold stress? How does the body react to cold conditions? In a cold environment, most of the body’s energy is used to keep the internal core temperature warm. Over time, the body will begin to shift blood flow from the extremities (hands, feet, arms, and legs) and outer skin to the core (chest and abdomen). 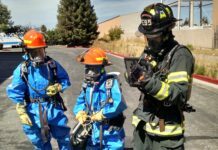 This shift allows the exposed skin and the extremities to cool rapidly and increases the risk of frostbite and hypothermia. Combine this scenario with exposure to a wet environment, and trench foot may also be a problem. What are the most common cold induced illnesses/injuries? Hypothermia occurs when body heat is lost faster than it can be replaced and the normal body temperature (98.6°F) drops to less than 95°F. Hypothermia is most likely at very cold temperatures, but it can occur even at cool temperatures (above 40°F), if a person becomes chilled from rain, sweat, or submersion in cold water. An exposed worker is alert. He or she may begin to shiver and stomp the feet in order to generate heat. He or she may be unable to walk or stand, pupils become dilated, pulse and breathing become slowed, and loss of consciousness can occur. A person could die if help is not received immediately. 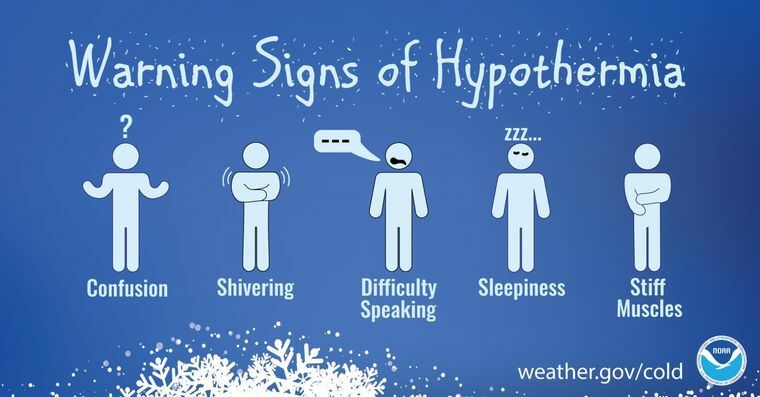 What can be done for a person suffering from hypothermia? Move the person to a warm, dry area. Remove wet clothes and replace with dry clothes, cover the body (including the head and neck) with layers of blankets; and with a vapor barrier (e.g. tarp, garbage bag). Do not cover the face. Numbness in the affected part. 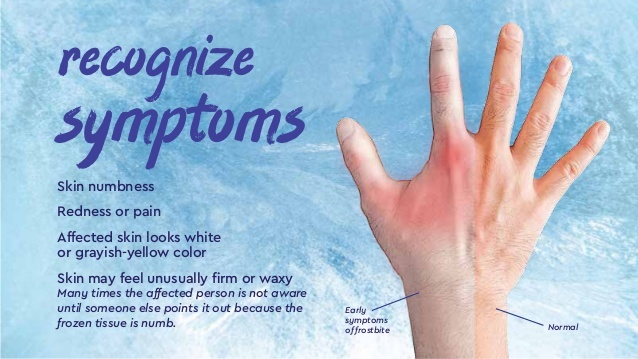 What can be done for a person suffering from frostbite? Follow the recommendations described above for hypothermia. Do not rub the affected area to warm it because this action can cause more damage. Do not apply snow/water. Do not break blisters. Loosely cover and protect the area from contact. 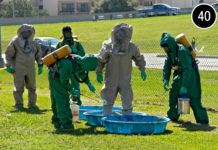 Do not try to rewarm the frostbitten area before getting medical help; for example, do not place in warm water. If a frostbitten area is rewarmed and gets frozen again, more tissue damage will occur. It is safer for the frostbitten area to be rewarmed by medical professionals. Give warm sweetened drinks, if the person is alert. Avoid drinks with alcohol. Trench Foot or immersion foot is caused by prolonged exposure to wet and cold temperatures. It can occur at temperatures as high as 60°F if the feet are constantly wet. Non-freezing injury occurs because wet feet lose heat 25-times faster than dry feet. To prevent heat loss, the body constricts the blood vessels to shut down circulation in the feet. The skin tissue begins to die because of a lack of oxygen and nutrients and due to the buildup of toxic products. What are the symptoms of trench foot? What can be done for a person suffering from immersion foot? Remove the shoes, or boots, and wet socks. 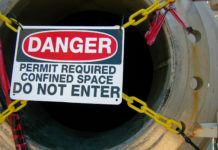 Although OSHA does not have a specific standard that covers working in cold environments, employers have a responsibility to provide workers with employment and a place of employment which are free from recognized hazards, including cold stress, which are causing or are likely to cause death or serious physical harm to them (Section 5(a)(1) of the Occupational Safety and Health Act of 1970). 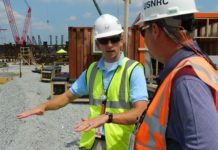 Employers should, therefore, train workers on the hazards of the job and safety measures to use, such as engineering controls and safe work practices, that will protect workers’ safety and health. Employers should train workers on how to prevent and recognize cold stress illnesses and injuries and how to apply first aid treatment. Workers should be trained on the appropriate engineering controls, personal protective equipment and work practices to reduce the risk of cold stress. 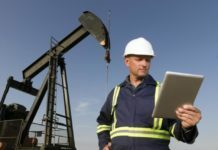 Employers should provide engineering controls. For example, radiant heaters may be used to warm workers in outdoor security stations. If possible, shield work areas from drafts or wind to reduce wind chill. 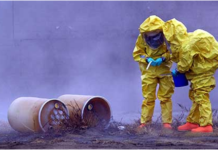 Employers should use safe work practices. For example, it is easy to become dehydrated in cold weather. Employers therefore, can provide plenty of warm sweetened liquids to workers. Avoid alcoholic drinks. If possible, employers can schedule heavy work during the warmer part of the day. Employers can assign workers to tasks in pairs (buddy system), so that they can monitor each other for signs of cold stress. Workers can be allowed to interrupt their work, if they are extremely uncomfortable. 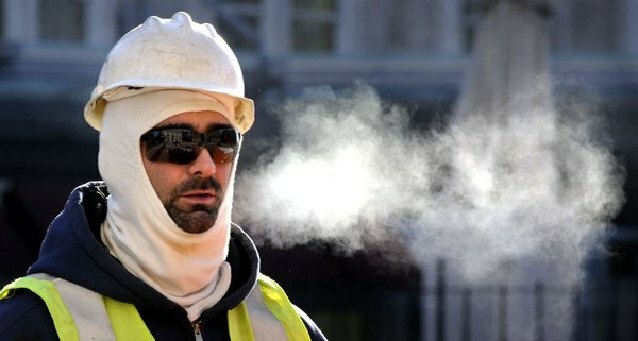 Employers should give workers frequent breaks in warm areas. Acclimatize new workers and those returning after time away from work, by gradually increasing their workload, and allowing more frequent breaks in warm areas, as they build up a tolerance for working in the cold environment. Safety measures, such as these, should be incorporated into the relevant health and safety plan for the workplace. Wear at least three layers of loose fitting clothing. Layering provides better insulation. Do not wear tight fitting clothing. An inner layer of wool, silk or synthetic to keep moisture away from the body. Use a knit mask to cover the face and mouth (if needed). Use insulated gloves to protect the hands (water resistant if necessary). Wear insulated and waterproof boots (or other footwear). Cold Stress. 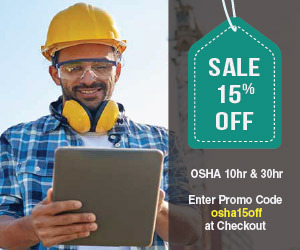 National Institute for Occupational Safety and Health (NIOSH). 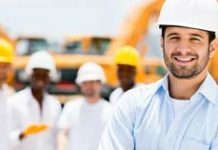 The Occupational Safety and Health Act (OSH Act) requires employers to comply with hazard-specific safety and health standards. 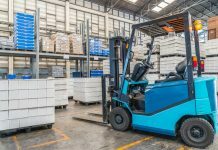 In addition, pursuant to Section 5(a)(1) of the OSH Act, employers must provide their employees with a workplace free from recognized hazards likely to cause death or serious physical harm. Emergency Preparedness Guides do not and cannot enlarge or diminish an employer’s obligations under the OSH Act.